Kathi Jensen has lived in Tahoe for 36 years and has been involved with the Boys and Girls Club of Lake Tahoe for almost 25 years. The children of this community have always been her passion. She is a retired educator who has taught grades Kindergarten through 8th grade and she has been a school Assistant Principal and Principal in the Lake Tahoe Unified School District. When she first became acquainted with the Boys and Girls Club she knew from the start it was something that the children in South Lake Tahoe desperately needed. Providing quality programs for the youth in our community is something she is very excited about and she wants to contribute to the continued success of the Boys and Girls Club of Lake Tahoe. Valerie retired from the El Dorado County Health Department in December 2006 after 30+ years working as a Public Health Nurse/Manager. She was raised in Placerville, and attended St Francis Memorial Hospital, School of Nursing (San Francisco), The Ohio State University (BSN), and University of Washington (MN). 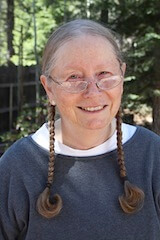 Valerie first joined the Boys & Girls Club of Lake Tahoe Board in 1991. During her 34 years in Public Health, plus serving on the LTUSD Board of education, working within the community with various community organizations, social services, school committees, and raising a daughter, Valerie soon recognized that children in the community would greatly benefit from an organization that provided an alternative to a latch key kid existence after school each day and during the summer. 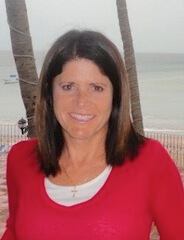 Since retiring, along with serving on the Boys & Girls Club of Lake Tahoe Board, she volunteers extensively with Zone 4 of Pacific Swimming as an official at area swim meets, as well as Zone 4 board member, Zone Officials Co-Chair, and Zone representative to Pacific Swimming meetings. In her spare time, Valerie and her husband Jerry enjoy traveling (including lengthy trips to Alaska and across Canada), visiting their daughter, skiing, kayaking, hiking, photography, working swim meets, and watching The Ohio State University football and Basketball. In addition she enjoys reading and knitting hats, which she has donated to Caps for Kids or other charities for several years. 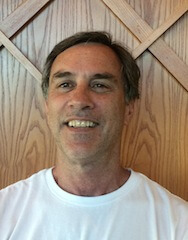 Steve Rude has been on the Board of BGCLT since 2003 and is a past President of the Club. Steve has lived in Tahoe since 1996 when he started the ever popular Rude Brothers’ Bagels. He now works for a private Family Office. As a child Steve attended the Boys and Girls Club of Green Lake Seattle, where he was a frequent participant in their after school basketball league. Steve’s passion and dedication to the Club is born out of the belief that every child has the right to meet their full potential. Tita moved to South Lake Tahoe in 1978 to attend classes at Lake Tahoe Community College, and, after graduation, never left! She started Fromarc Insurance Agency in 1985 where she currently works with her husband, Bob Anderson and daughter, Justine Anderson. Tita is also a Certified Riding Instructor working with Special Needs Children at the Kids and Horses program in Minden, Nevada. She and her husband Bob and their horses also volunteer for the Forest Service spending many of their summer days cleaning trails and campsites in the Lake Tahoe Basin backcountry. Bob and Tita have 3 children and 3 grandchildren. They currently live in Gardnerville, Nevada. 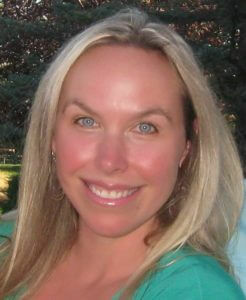 Brandi was born and raised in Lake Tahoe and is the owner of Tahoe Production House, a Creative Agency. She is currently sitting on the Advisory Board for Tahoe Regional Young Professionals, the Board of Directors for Barton Foundation and Boys and Girls Club, as well as involved in many community activities. Brandi holds a BA degree in Film and TV production from Loyola Marymount University. For fun, she enjoys hanging with her husband and their two daughters, as well as their 3 doggies! Larry teaches mathematics and statistics at Lake Tahoe Community College and served on the board of LTUSD from 2007-2016. 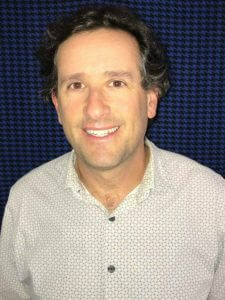 He received his PhD in mathematics from UCLA and has been active in education all of his life. Larry is a strong advocate in ensuring that the children of the Tahoe community have a supportive environment both during and after school. He organizes the volunteer tutoring program where college students assist K-12 children with their mathematics after school Monday through Thursday. He is also a leader of the open educational resources movement that helps remove financial barriers to a college education by encouraging faculty to adopt free or low cost textbooks. Larry joined the Boys & Girls Club board in 2016 so that he could continue making a positive impact in our local area and help enhance the opportunities that the Boys and Girls Club offers to our most precious community members. 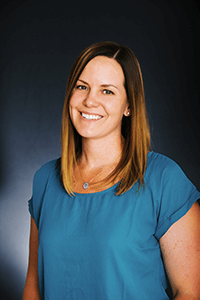 Katie is a Certified Public Accountant at Wulstein Financial Services and Company and has lived in South Lake Tahoe since 2007. Katie has a Bachelor of Arts degree from the University of California Santa Barbara in Business Economics with an emphasis in Accounting. Her work in the tax and accounting field has given Katie insight in the workings of small business and non-profit organizations. While she enjoys her work, her greatest joy comes from raising her two sons, both of whom are members at the Club. Katie is very passionate about the welfare and development of the youth in our community. She sees Boys and Girls Club of Lake Tahoe as a vital part to our town and has experienced first hand how their programs benefit our youth. Katie chose to sit join the Board of Directors because she believes that every child should have a safe place to go after school where they would receive invaluable support in their education as well as other extracurricular activities. You can find Katie cheering on her boys at the soccer or baseball field. She also enjoys cooking, live music, and spending time outdoors with her friends and family. 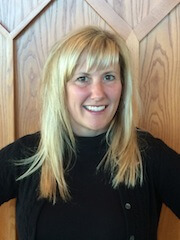 Molly Hucklebridge joined the Boys and Girls Club Board of Directors in 2014. She has a background in non-profit management, environmental education, public relations, marketing, and volunteer coordination. She moved to South Lake Tahoe in 2013, but for the last ten years she has lived and worked in the Sierra Nevada, including Yosemite National Park and along the shores of the American River, Mono Lake, and the Yuba River. She loves spending her free time outdoors in “the nature” and is an avid photographer and international explorer. Molly currently provides communications and public outreach for Barton Health. Donielle joined the Board in March of 2016. She was born and raised in South Lake Tahoe, but moved to San Diego after high school to pursue a degree in Business Administration from San Diego State University. After working in the private sector for several years in Southern California, and backpacking around the world at every opportunity, she decided it was time to return to the community and home she loves so dearly. Donielle currently works as the Water Conservation Specialist for the South Tahoe Public Utility District, where she spends much of her time educating elementary school children on the importance of protecting our natural resources. As a mother of two young daughters, Donielle is passionate about providing a safe, positive and caring environment where the youth of our community can thrive. 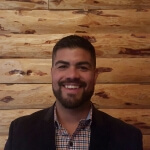 Hector C. Ochoa grew up in the East Bay Area and in 2014 relocated to South Lake Tahoe. After completing his BS degree in Nutrition Science at Purdue University, he dove into wet-lab and clinical research, focusing on prevention of non-communical diseases. Wanting to take a more direct approach, he focused on community health through direct education, policy changes, systems and environmental impacts to health and wellness. Currently, working for UC Cooperative Extension he provides nutrition education classes and curriculum throughout Tahoe’s South shore. While working in the community, he noted the enormous positive impact the Boy’s and Girl’s club had on the community, and Mr. Ochoa wanted to get involved in this effort as well. In his spare time, he enjoys reading nutrition and food articles of all types staying up to date on current research. If you don’t see Mr. Ochoa, running trails, cycling the streets or skiing down the slopes, he is most likely in the kitchen cooking away. 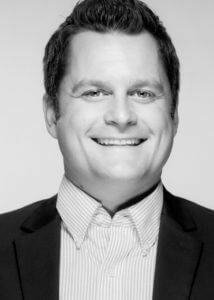 Between weekends when skiing or golfing as much as possible, Mike Peron is also an on-air host and director of marketing at Lake Tahoe TV in conjunction with running his own event/production company called FNCTN (pronounced fungk-shen) . His passion for people, music, dancing, the outdoors, and having a good time can be seen by all… especially live on Ch. 12! Aside from his jobs that pay the bills, Mike serves the community in a multitude of ways. He's an active board member at Tahoe Chamber, Boys & Girls Club, and T.R.Y.P. 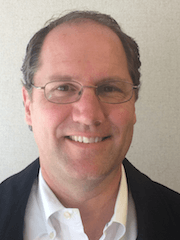 He's and associate board member for the League to Save Lake Tahoe and Tahoe South, and an Emcee of non-profit events such as: Live Violence Free Gala, Soroptimist Fundraisers, Blue Ribbon Awards, etc. Mike is proud to call Lake Tahoe home and a very special place in his heart that delivers world class recreation mixed with world class entertainment! Jennifer Peterson joined the Board in February of 2015. She is a licensed California attorney and has been practicing law since December of 2000. 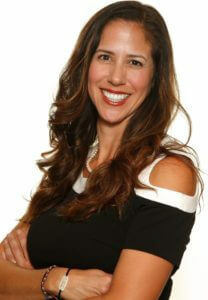 She is also a licensed California real estate broker and has her real estate salespersons license in Nevada. 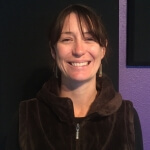 She relocated to South Lake Tahoe in September of 2008 after taking a year off to travel with her husband.As the mother of two young children, Jennifer is passionate about ensuring that the youth in our community have access to resources that will enrich their lives and help them grow academically, emotionally and socially. She wanted to get involved in the BGCLT because they offer so many wonderful programs for children. The Club not only has incredibly engaging educational programs, but they also provide resources to help keep kids active and learn important social skills such as tolerance and respect. Jennifer feels strongly that everyone in the community benefits from the resources and positive role models that the BGCLT provides because the Club gives children the tools they need to become healthy, productive members of our society. She is honored to be part of such an important and well-respected community organization. Jeff moved with his family to South Lake Tahoe in 1962 as a 4 year old, to do his part for the family business, South Tahoe Refuse & Recycling, he starting going out on trucks when he was 5 after school. This is when his work ethic and community pride started to take shape, he asked his grandpa what he was going to get paid and was told dinner tonight. By watching his family get involved helping the community they lived in, the seeds were in place to do the same. After graduating from college with a BS in business, he started working full time. His current position is President and co-owner of the company. He became involved with the Boys and Girls Club as a board member 25 years ago and is on his second term as President. 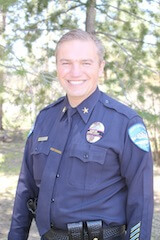 Other organizations that he is currently on or served include the Lake Tahoe Community College Foundation, Optimist Club, Chamber of Commerce, and various youth sport organizations. 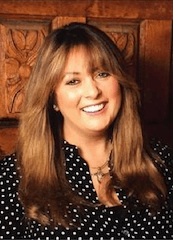 Michelle Turner has been Marketing Director for BELFOR Property Restoration for the past 4 years. Residing in South Lake Tahoe for 9 years, giving back to her community is very important. Michelle also serves on the Tahoe Chamber Board as well as the Northern Nevada Claims Association, State of Nevada Claims Association and the Risk Insurance Manager’s Society boards. 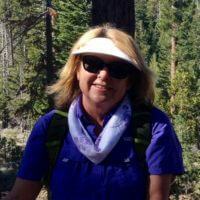 Past Boards have also included Tahoe Youth & Family Services as well as Soroptimist of South Lake Tahoe International. Michelle is also very involved in the Fire Prevention Association of Nevada and extremely passionate about fire awareness and safety. 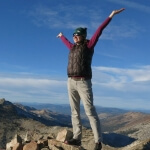 Living in Lake Tahoe and her love of the outdoors, helps keep her balanced. When she’s not trying to save the world, you can find her walking her dogs, cooking, snowboarding, running, mountain biking, kayaking, among many other activities she enjoys. Brian has served on the Boys and Girls Club board since coming to South Lake Tahoe in November, 2010. B&G Club Highlight: “Seeing smiles on kids at the Spaghetti Feed and Bike Rodeo.” An Army veteran, he has also served in law enforcement for over 30 years. Brian has a Masters Degree in Public Administration and enjoys the outdoors and flying a really cool airplane. Weidinger Public Relations, Chief Incite Officer – Shouldn’t that be “Insight?” While there’s some of that, too, it’s really more about stirring it up, lighting a fire, leading a charge, changing the dynamic and getting everyone motivated to give their best while keeping the door open to the wildest concept that many times sprouts from the smallest seed. A “Phil”osopher at heart, his belief is there’s always an answer or another idea, leading to unique campaigns and solutions. Which comes in handy with the Boys & Girls Club of Lake Tahoe, a small town club with big time needs to serve the kids of the community – the reason he joined the board in 2005. Phil has been at Tahoe since 1980 following stints in public relations with the San Francisco Forty Niners, Caesars Tahoe and as tournament director for the 1985 U.S. Senior Open Golf Championship. In 1985, he decided to stay and make a living with his own business while headquartered in paradise.